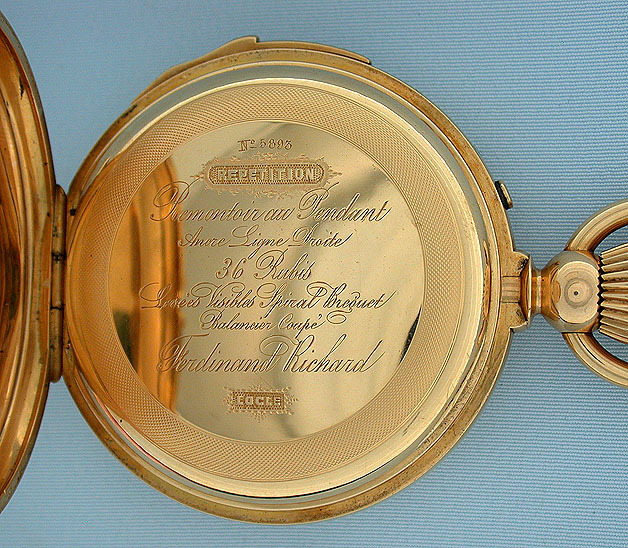 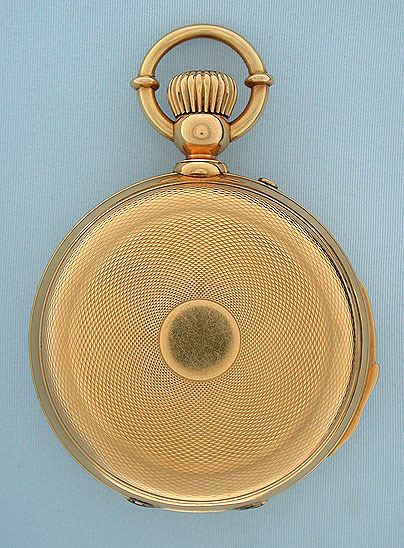 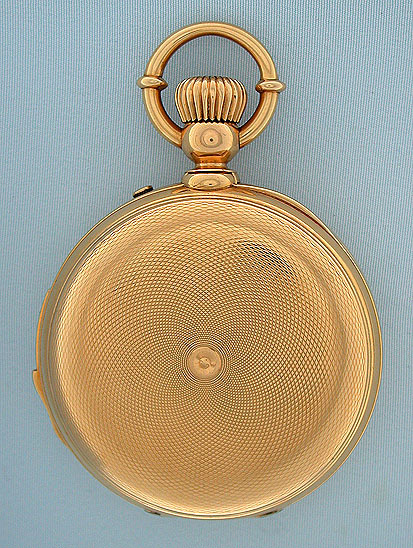 Fine and handsome Swiss 18K gold minute repeater antique pocket watch by Ferdinand Richard, Locle, circa 1890. substantial engine turned 18K gold case with slide in the band to activate the repeater. 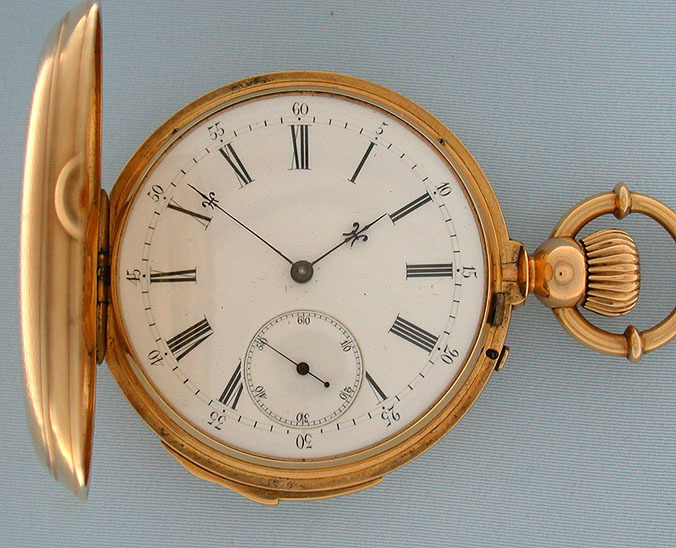 White enamel dial (slight imperfections) with fancy blued steel hands. 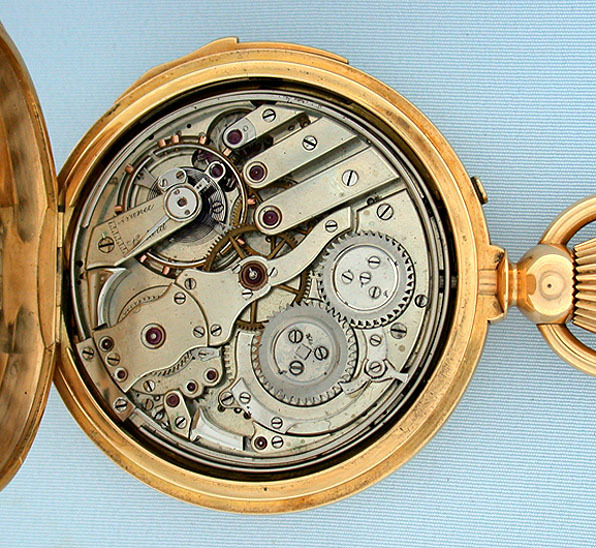 First quality 36 jewel nickel movement jeweled to the center and the hammers.